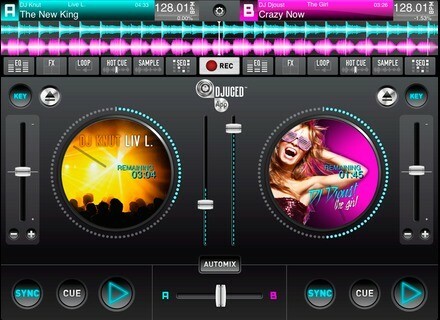 DJuced App, Other software for iPhone / iPod Touch / iPad from DJuced. DJuced, the creator of the DJ mix software for Mac and PC, introduces a version for the iPad. The DJuced App features more than 90 features to prepare a mix and play in clubs and parties, including BPM analysis tools that use zplane algorithms, as well as effects, scratch, cue points, tempo-synced advanced loops, a sampler and a recorder. The app also includes an automatic loop slicing function for the samplers designed to remix songs on the fly and a step sequencer is included for those who want to create grooves and beats. Last, beginners benefit from an Automix feature and the editor announces that more features will be added in the future. The DJuced App is available on the AppStore for 4.49€ / $4.99. iZotope publishes an audio repair guide iZotope offers a downloadable guide to computer-based musicians and engineers who wish to fixed their sound issues. Best Service updates Engine to version 2.2 Best Service has updated its Engine sample player for its virtual instruments to version 2.2 for Mac and PC. Toontrack launches Metal! EZX and MIDI packs The first novelty of the Toontrack Metal Month is Metal! EZX, a drum library created by Daniel Bergstrand, Mark Lewis and Jason Suecof.